The Trailer of Begum Jaan is Bold, Beautiful, Real and Impressive! Begum Jaan is the remake of highly-acclaimed Bengali film, Rajkahini from the same director Srijit Mukherji. The bold, thrilling and watch-worthy trailer of the movie is out. The film is from the backdrops of 1947 time. The story is about a group of women fighting to save their brothel aka their home from being demolished by the management as after the partition, it will become the newly-made India-Pakistan border. 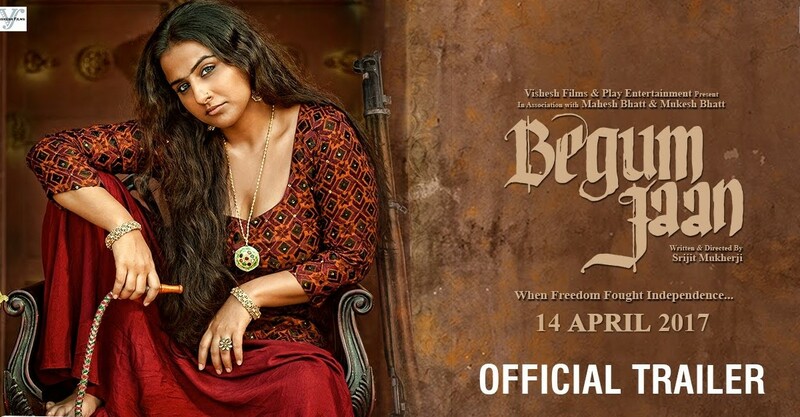 Vidya Balan's character titled as Begum Jaan is bold yet crucial. The inside message of a prostitute is clearly visible. Besides Vidya Balan, other stars playing pivotal roles in the film are Naseeruddin Shah, Gauhar Khan, Ila Arun, Ashish Vidyarthi and Rajit Kapoor. The original Bengali version of the film starring Rituparna Sengupta was tremendous and received great response both from the audience as well as the critics. Let's hope the same for Vidya Balan too! The film will be released on 14th April.